Did you know your home is a possible source of air pollution? One such source is the inside of the air ducts in your home. If you were to inspect those ducts, you might see an ugly collection of dirt, debris, or even insects or rodent droppings. Plus, mold can grow inside air ducts and cause allergy-like symptoms. Picture this: your air ducts are lined with mold or dirt. Each time air travels through the duct, it picks up dust droplets, debris, and mold spores and releases them into the air that you and your family breathe. As most health practitioners will tell you, mold can cause health problems. Plus, a number of people are allergic to mold and experience allergy or asthma symptoms when exposed to it. By keeping your ducts clean, you can prevent the growth of mold in the first place and eradicate mold that’s already there. When your air ducts are clean and free of debris, air can flow more freely and the air you breathe in will be clean without offensive odors arising from the ducts. Unfortunately, if you have mold inside your air ducts, it may or may not be visible. Do you or any of your family members suffer from allergies, asthma, or are sensitive to molds? Then it’s wise to get your air ducts inspected and cleaned. Likewise, if you have pets, have had previous infestation with rodents, or have a smoker in your home. If you’ve recently done construction work, refinished floors, painted, or done any type of remodeling, cleaning your air ducts ensures debris from those projects won’t stay lodged in your air ducts and enter the air you breathe. Of course, when you buy a new home, you want to give the ducts a thorough cleaning since you won’t know when they were last cleaned. On way to tell if your ducts need a professional cleaning is to inspect the cold-air return vents. Are they unsoiled or do you see a build-up of dirt and debris? If they’re not clean, there’s a good chance the ducts aren’t either. Another sign to look for is dust or debris coming out of the air vents in your home. 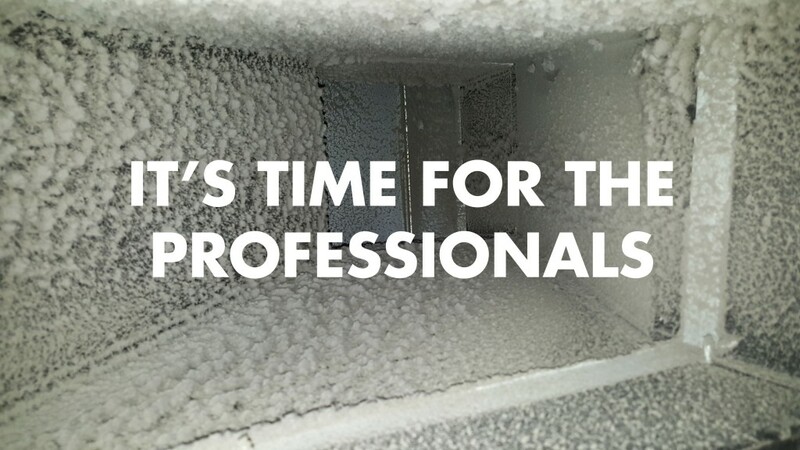 If you open up your air conditioning unit or furnace and see the build-up of dust or debris, it’s time to have your air ducts cleaned and inspected. Likewise, if you notice your air filters are getting dirty faster. Don’t forget moisture creates the ideal environment for mold to grow. So, if you have problems with moisture, get your air ducts cleaned. Also, if you or a family member is experiencing allergy symptoms, dirty air ducts may be the cause. Don’t forget – cleaning your air ducts, with the help of a professional air duct cleaner, can improve the quality of the air you breathe and that’s vital for health.